Translation Services: Where Does Sign Language Fit? Where Does Sign Language Fit With Translation Services? When it comes to translation services, sign language is often a forgotten trade. Sign language is a completely different ball game compared to translation and requires unique skills and services. So, how exactly, if at all, does sign language fit in with translation services? In today’s blog post, Akorbi will take a deeper look at the topic of sign language and translation service. How Does Sign Language Work with Different Languages? It’s important to remember that different countries have different types of sign languages. However, there are far fewer differences between the various sign languages as compared to the various spoken languages. In fact, most of the differences between sign languages come from tradition and development, as groups developed their own unique sign language dialects. With that being said, not all people who use one sign language can understand all signed languages. Similarly, sign languages are not simply translations of spoken languages. The best example of this is the differences between American Sign Language and British Sign Language. Both come from English-speaking countries, but the sign languages are very different. There aren’t a whole lot of resources for sign language when it comes to translation services. Most translation services are online, via web content and products, or through spoken word, via call centers and contact centers. 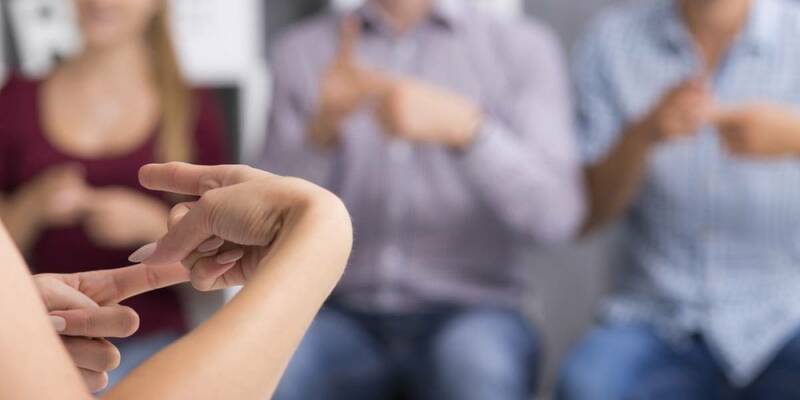 These services don’t generally require sign language translation, as the deaf community doesn’t often have issues with online contact and won’t work with spoken word services. However, there are certain instances where translation is needed with sign language. We see this most often at sporting events, business conferences and speeches, when sign language interpreters are stationed up front to help deaf attendees. However, for the most part, sign language won’t play a major role in your translation services. If you are looking for help with translation services, Akorbi has the solutions you need. For more information on these services, give us a call at (214) 256-9222 or contact us online today.